Ireland will have to agree an emergency bilateral deal with the UK to ensure cross-Border bus and train journeys are not affected by a no-deal Brexit. New agreements to avert major disruption for bus passengers are being examined as part of the Government’s contingency plans for the UK crashing out of the EU. An essential part of the plan will be ensuring buses and trains can continue to cross the Border unrestricted in the event of a disorderly Brexit. 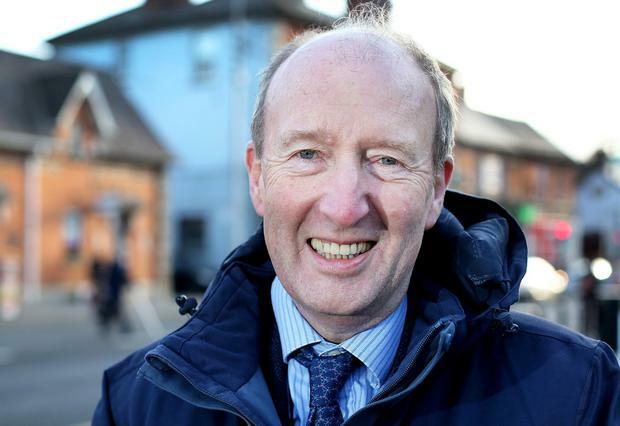 Transport Minister Shane Ross will today tell an Oireachtas committee that central to those preparations will be plans to strike a bilateral agreement with the UK for cross-Border commercial transport. “After Brexit, Ireland will be allowed under EU law to enter into a bilateral agreement with the United Kingdom for bus and coach services, so long as no existing bus agreement exists between the UK and the EU,” Mr Ross said. “It is anticipated that Ireland would need such a bilateral agreement to allow public passenger bus services to cross the Border,” he added. Mr Ross will tell the Transport Committee that the National Transport Authority authorises more than 300 daily cross-Border bus journeys by private and public operators which could be affected. “This figure does not take into account the occasional journeys which capture the ‘once off’ community-related bus and coach services. There are similar concerns around train journeys which will also have to be addressed through new legislation and bilaterals with the UK. Separately, Mr Ross will set out the other areas under his portfolio which could be adversely affected if Britain leaves the EU without a deal. He will say Ireland would be “uniquely exposed” in terms of the aviation sector due to the country’s “heavy reliance” on the Ireland-UK air transport market. However, the European Commission has drafted plans to ensure air passengers are not affected in the first year of a crash out. He will also highlight the issues facing Irish hauliers using Britain as a landbridge to transfer goods to the rest of the EU.